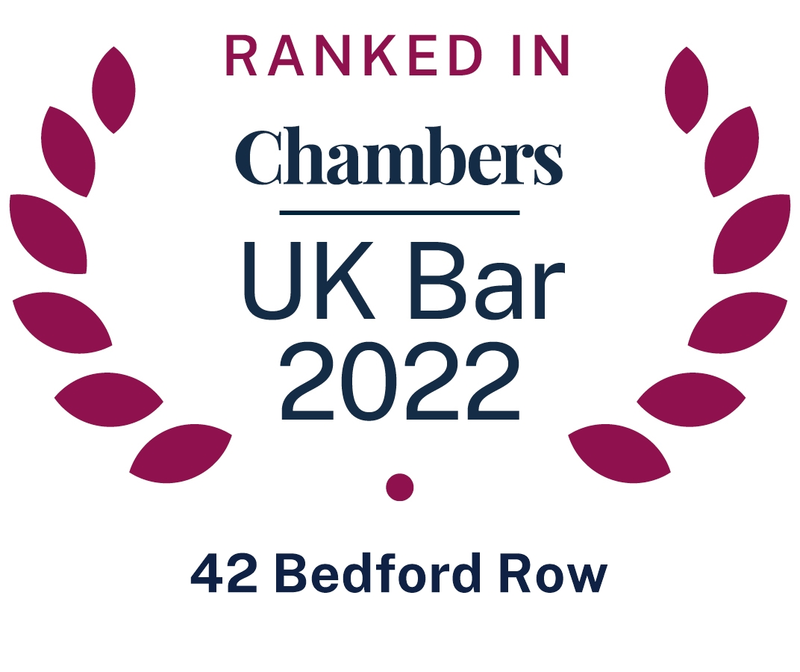 42 Bedford Row has over 100 barristers ranging from high profile QCs to some of the profession’s most promising juniors. We operate in five close-knit specialist groups that ‘encourage a collegiate atmosphere and team approach to clients’ (The Legal 500 – 2016). A highly regarded team of clerks and practice managers provides full administrative support to our barristers and clients, so you can be confident that your case will be handled efficiently, and we will respond promptly to any request. From clerks to QCs, every member of our team is committed to quality client care and our Chambers Director, Vincent Denham, takes a personal interest in this crucial aspect of our work. Please send him your comments, good or poor and he will respond. Contact him here. We have a well-established following among solicitors and local authorities. 18 of our barristers are listed as leaders in their fields in Chambers & Partners and The Legal 500. Past members include Rose LJ, Janet Smith LJ, Leveson LJ, David Clare J and Caroline Swift J. ‘It is a very professional and close-knit set, which encourages a collegiate atmosphere in chambers and a team approach with clients’; ‘it also means one has access to pool of excellent counsel that share their experience and knowledge with each other’. For some, it is ‘a favoured set because of the approachability and service provided’. The clerks are ‘nothing short of extremely helpful’ and ‘on hand at all times, including out of hours’. ‘The combination of deep knowledge and expertise together with excellent client care is second to none.’ The ‘responsive and very helpful’ clerks’ room includes Steve Sheridan ‘one of the best clerks in the business’.